Mine is obviously 14 Glencairn. I just saw 1001 go by on it. It's because I live on Glencairn Ave. and see the 14 go by everyday, and it's been my dream to drive a 14 since i was little. Mount Dennis, here I come! Hello all, Does anyone know where to get model TTC Transit buses like this? Doesn't matter what model. I am currently trying to make a model TTC garage. Just wondering if anyone else has these and are willing to sell them or say where they got them. I already know about the model fishbowls and have a couple. 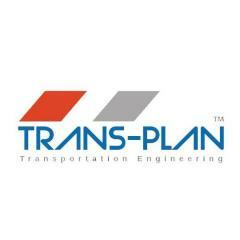 Looks like TTC is looking for manufacturers for a future bus order. Future TTC Bus order Document request list Here R32PA16809 - FUTURE BUS PROCUREMENT OF TTC BUSES The Toronto Transit Commission (TTC) is seeking an expression of interest in order to identify and obtain information from firms interested in participating with future bus purchases. 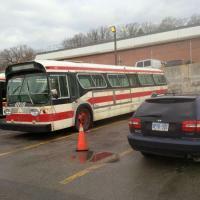 The TTC currently operates and maintains a fleet of approximately 2,000 buses to support the movement of its customers across the Greater Toronto Area. A move to steady state procurement has been implemented and the TTC plans on purchasing approximately 120 buses annually. Can anyone tell me what pilot buses mean? It say for example on the TTC 8400-8504 or 9000-9026 page that 8400 and 9000 are pilot buses, what does that mean? Countdown: 79 Days until #Line1 Opening! I just received the call for my start date. I start training Aug. 22, mode is Bus and my division is #8 Malvern. If anyone has experience at this division I would appreciate you sharing any advice you may have. I haven't posted on here before, but have found this forum a very helpful resource and wanted to thank everyone for posting here. As I didn't know anyone working for the TTC this has been a great place to read and find answers to many questions. Thank you! The process was longer than I would have expected. As such I thought it would be helpful to post a timeline for the stages that was my experience in hopes of it helping others. Jan 8, 2016 - Online Application March 5, 2016 - Information Session ( I answered 40 questions or so and found it pretty simple . ADVICE - Follow the instructions, listen and read) April 6, 2016 - Email from TTC for interview April 15, 2016 - Completed Job Shadowing I completed the entire thing in one night. 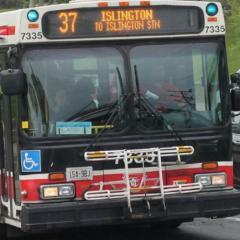 I had never been on a TTC bus and found it good time to talk to drivers and get to know if the job was for me. It may not be necessary to complete it as others have said here you could write it out without going on the routes, but I found it helpful. April 25, 2016 - TTC interview . On arriving forst thing they want to see is the requested documents (education diplomas, abstract, completed job shadow ect). Then completed police background check form. Interview - 12 questions based on you giving specific examples from your past work history. I also handed them my list of work references. May 9, 2016 - All my references were contacted. They were all asked the same questions about my sick time, work ethic etc. May 18, 2016 -Received and signed Conditional Job offer via email - Added to hiring "Pool B" May 19, 2016 - Medical Appointment - Crazy amount of paperwork. Filled out 10 forms before going and then another 20 once there. Nothing crazy here. Physical testing involved pushing and pulling a weighted cart etc. Hearing, vision tests, drug urine test and then a physical with the doctor. June 25, 2016 - Received letter from Toronto police requesting I make an appointment for fingerprinting. I later learned from them that this is unusual and was because my date of birth was the same as somebody else who had a record. July 8. 2016 - Attended fingerprint session with Toronto Police July 18, 2016 - Received CLEAR vulnerable sector check form in mail July 15, 2016 - Received phone call and email confirming Documentation session time and date July 27, 2016 - Attended documentation session Sized for uniforms and completed forms and submitted another copy of abstract. Aug 4, 2016 - TTC Human Resources called with Start date, Divison and mode. Start work August 22 2016! Hope this is of help to anyone involved in the process and please feel free to ask any questions. Best of luck to all! Hello everyone, I need some information regarding where certain new looks might have been allocated from 1988 - 2012 when they were retired. Rapido is creating new look models for sale by the TTC and my father is reaching his 30th anniversary with the TTC in January 2018. I was planning on getting him one to mark his 30 years as an operator and wanted to potentially get the number of a bus he likely would have drove on it. Any idea if the following were at Birchmount division from 1988 up until their retirement? -2078 -2085 -2091 -2150 -2153 Thanks in advance! TTC Harvey & Duncan open house 2016? Hello Everyone! I was wondering if the TTC will be having their Harvey & Duncan Open house again this year. If so, when do they usually set dates? Hoping to get a glimpse of the Gm T6H-5307N New look. Hopefully they finish but I doubt they will. :/ Thanks! 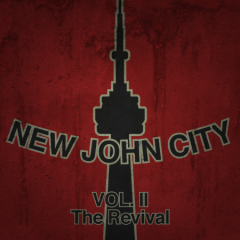 My co-producer Alex from SkyRail Productions and myself have been working hard on a TTC documentary this summer. The documentary will feature 7-11 TTC subway operators, 4 tower/transit controllers from transit control, a subway line mechanic and supervisor. We have completed our filming and currently in the editing stage. Here is our introduction video to the production to be released this fall: If anyone is wondering we got permission from TTC corporate and they know what we are doing. How does TTC keep Druggies/drug dealers out of public washrooms? In Timmins there is news that at the main terminal druggies and drug dealers have become such a problem that they have chosen to close the washrooms fully to the public, except when the ONTC bus comes in and just open it for them. I chose to ask the question to TTC users and find out how TTC prevents and fights a issue such as this with their multitude of public washrooms in a multitude of stations in Toronto. Check out my production explaining the signs and signals used on the Toronto subway system: http://www.youtube.com/watch?v=U-ocZiIBAPc. I worked hard, I hope you like it! Here is my production on the signs and signals used on the Toronto subway system! I worked hard on it, I hope you enjoy!